Wondering how to go green, yet plan a dream birthday party for your beloved little one? It may not be as hard as you think. It just takes a little effort and planning. Conventional birthday parties usually use lots of materials, and end up with lots of waste. The trick would be to reduce the amount of new materials used and the amount of waste produced, using the principle of Reduce, Reuse and Recycle. To start things off, you can have a special theme to the birthday party. If your boy is an insect, the green theme could revolve around protecting the earth, so that his insects would always have a green environment to live in! If your girl loves flowers, then the green theme could revolve around keeping the environment clean and green, so that flowers will always flourish wherever she is! Be creative! Help your kids and their friends see the importance of protecting the environment and the earth, by linking the importance to things they treasure. Most birthday parties make use of balloons, paper streamers, plastic trinkets, etc, that ultimately end up occupying landfill spaces. If it is a tradition at your home to have birthday parties every year, why not invest in your own cloth banners (that can be reused), instead of using disposable plastic or paper ones. Reusing the banner also helps you save money. You can consider decorating the tables with covers made of recycled paper. In this way, you contribute to the demand for recycled paper products, and play a part in sustaining the recycling industry. In the same way, gifts for the kids can be wrapped using recycled paper, or wrapping paper made of recycled paper. Use cut-outs from old magazine and cards to create unique decorations for your kid’s special day. Get your kid involved! Get him or her to cut out pictures he or she likes, and you can help to put them together into nice decorations for the party. In this way, the party would not just be an event. You will get to spend quality time with your kid preparing for the party, and it would be more memorable to the both of you. There are definitely more ways of how to go green decorating birthday parties. You just need to be persistent, creative and have a sharp eye for materials you can use creatively. You can use handmade recycled paper cards as invites for the party. You can even make your own recycled paper! Get your kid involved in designing and making these cards, so that they are personalized and meaningful. Doing so also encourages the use of recycled paper. You can even consider making use of empty cereal cartons and old magazines or cardboards to prepare the cards, masks, caps and other party decorations. This too encourages the reuse of paper, and reduces the need for fresh paper. It will definitely contribute to saving trees, energy, water, and lots of other resources. Of course, as far as possible, you can consider sending e-cards and e-wishes, so that the messages and invites can be expressed and communicated, even without the use of paper and postage. After all, people rarely keep the invites after the party. And using e-cards will save you money and time as well. Choose brands that use minimal packaging. Buy the items you need in bulk if possible, to minimize the packaging used. This saves you money too! Don’t prepare too much the food! Otherwise, the excess would go to a waste. You may have to talk to more experienced party planners on how much food needs to be prepared. Use non disposable utensils and cutlery if possible. Styrofoam and plastic are non-biodegradable and using such disposables will definitely create more waste. Wondering what little gifts you can give to your birthday boy or girl, or his or her friends at the party? Why not consider something green? Recycled stuff would be great, because when you purchase products made of recycled materials, you actually create a demand for recycling, and hence, play a part in sustaining the recycling industry. 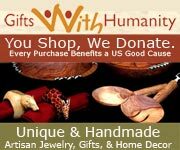 Why not browse through available gifts made of recycled materials and see if any fits your bill? Alternatively, you can make your own little gifts out of recycled materials you can find at home. You can make your own recycled paper at home, and then fashion the recycled paper into little notebooks to be given away. Such notebooks make great gifts, because each piece of the recycled paper you create would be unique, and hence, each notebook would be unique! And that’s not all. There are many reusable and recyclable items you can find at home that you can use to make little gifts of. You just need a bit of creativity and persistence. Get your birthday kid to help you with the ideas. You will be surprise at how creative they can be! This process will also encourage him or her to be creative and resourceful, and have a better appreciation for things around him or her. You can let the children get their hands dirty by trying to make their own recycled paper! Subsequently, they can bring the recycled paper they make home as little souvenirs. You can get the kids to collect empty drink cans before the party, and at the party itself, have a drink-can pyramid building competition. The winner gets a gift made of recycled materials! If the kids are very young and into colouring, you could even hold a colouring competition for them. Of course, they would be colouring pictures to do with recycling. Many websites in the internet offer such pictures for free. Just do a search using the keyword “recycling pictures” and you will find them! Even as you clear up after the party, it is possible for you to learn how to go green. Look out for things that you can reuse. For example, decorations, unused disposable cutlery. If you must use canned items for the party, be sure to send the cans for recycling after the party. Collect them in a trash bag, and give them a quick rinse to remove the odor and then send them to the recycling collection centres at a convenient time. And you can do the same for the plastic bottles that are left at the end of the party. Sort the plastic bottles by their types, give them a quick rinse to remove the odour, and then send them to the recycling collection centres at your convenience. Use natural cleaners if you can. Some of the natural cleaners can be as effective as the synthetic ones, and yet they minimize harm to the environment.